Workaholic accountant Peter Andrews has overlooked Christmas, friends and his fiancé for far too long. 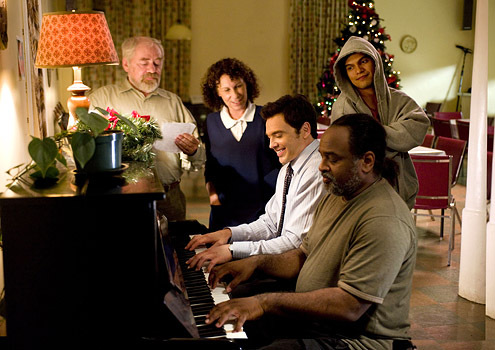 A chance encounter with a homeless man named Bob changes everything and inspires Peter to start a choir that eventually goes on to enormous success. When will The Christmas Choir air on Hallmark? I loved this movie when it was first shown. Just missed it in July and wonder if it will be shown again in October. I really wish Hallmark was showing Christmas with Holly. Disappointed it is not on July schedule. Please play at Christmas time. Great movie. Please show some of the older ones. Newer ones are not very good!